Direction for use: Gently run the glove through your pet’s coat. For best results, brush in the direction of fur growth. When you are done grooming simply lift the hair off the glove. Caring for Glove: hand wash in warm water with mild detergent. Remove excess water by gently squeezing the glove. 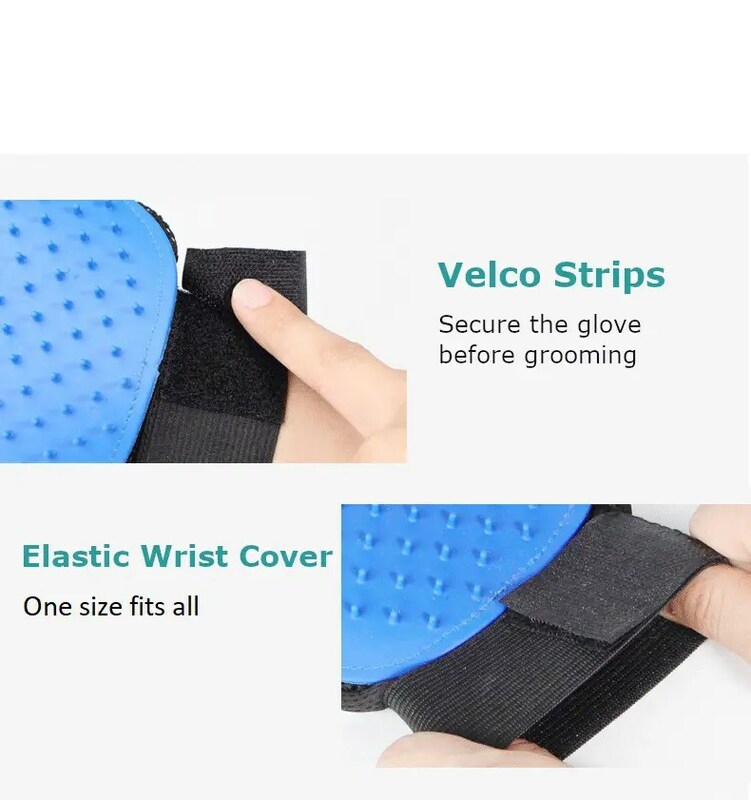 Lay glove flat and allow to dry at room temperature. DO NOT put in washer or dryer. ONE PIECE (LEFT HAND). NOT A Pair. this is a good tool to clean away excessive cat hair from my cat. fun part is my girlfren is actually trying collect the fur and make it into a soft toy for your pet! i think this a great idea.